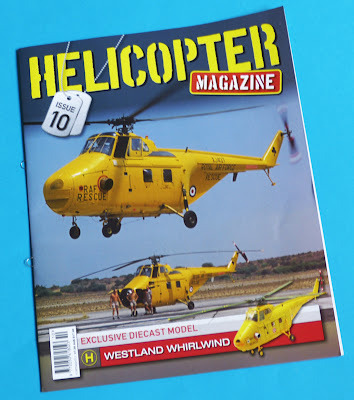 This series is now well and truly under way, the Big Whoppa launch production has long gone, and currently model and magazine come together in a rather graceless plastic bag, of sub-Airfix delightfulness. 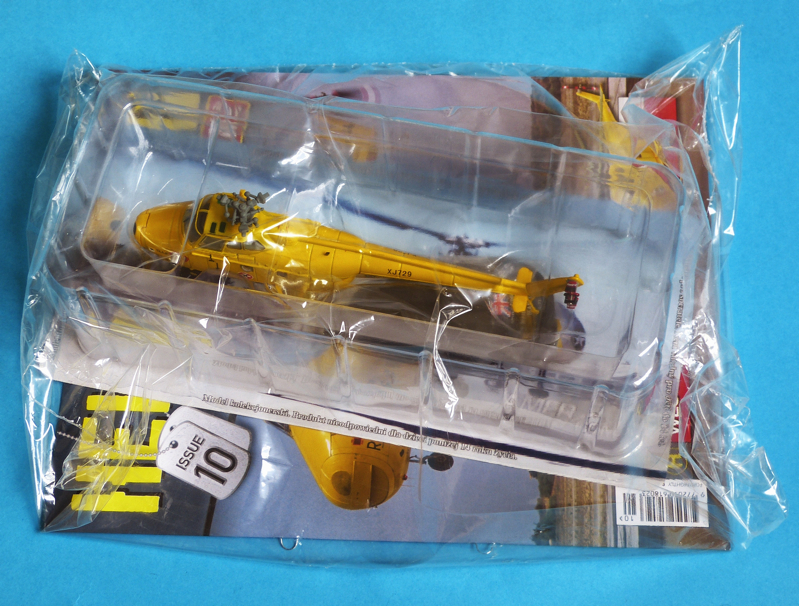 Still, let’s not get downhearted, as it’s what’s inside that floppy bag that counts. Cut open the bag and you get a substantial bubble-pack holding the helicopter, plus a small bag with extra components, just three push-on rotor blades and a two-part stand. 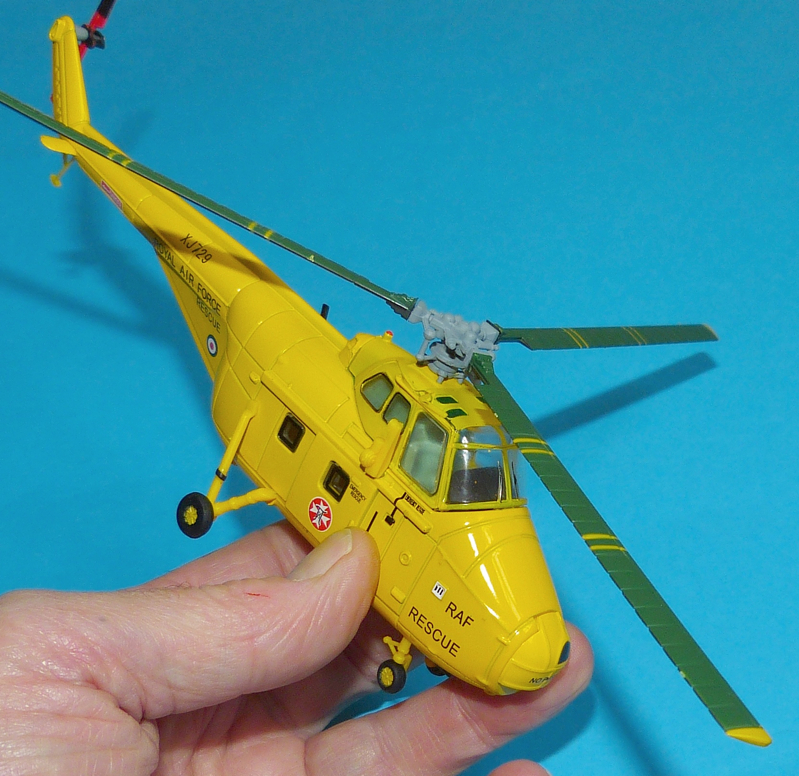 It’s very simple to assemble - just push the blades onto the rotor head, and ease the stand together. But that’s OK, as they all fit perfectly, with no cement needed as a fail-safe. There's no droop on the blades, so regard the model as being in flight mode. The result is OK, without being sensational - but let’s not damn it with faint praise, as it looks just right from arms-length and the close-up pix here make it look clunkier than it actually seems. 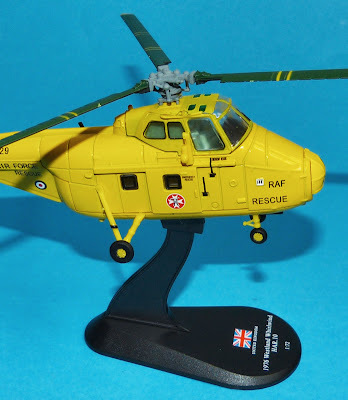 In practical terms the only niggle I have is that the various plastic and metal yellow sections don’t quite match for colour, but that’s in hard daylight, mind - indoors it looks fine. There is an attempt to provide some detail inside the high-set cockpit - at least, it’s possible to make out two seats and a stick. The markings are well applied and seem fairly accurate, while the turbine exhaust looks convincing, though the black framelines to the rear cockpit windows are a weak point. 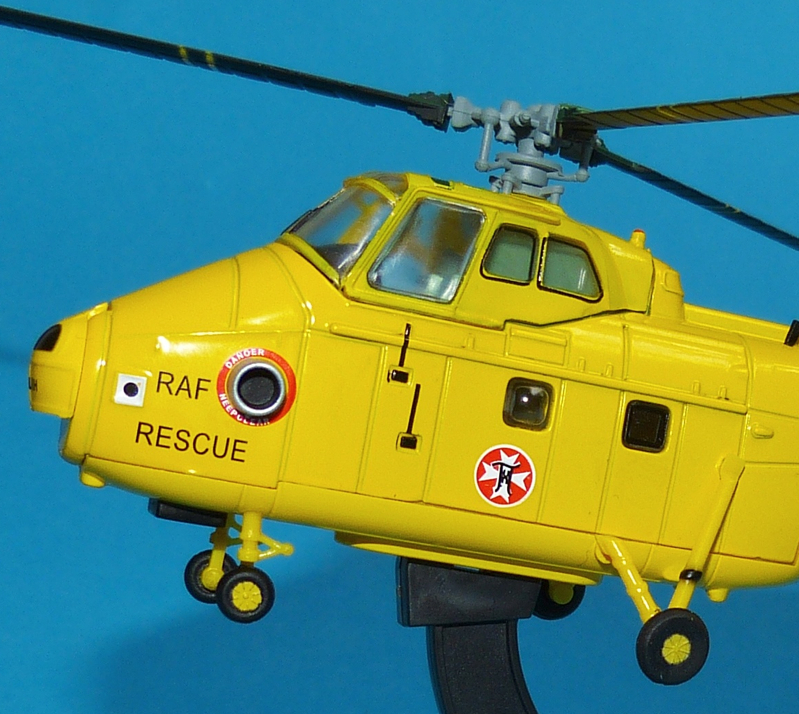 Note that the nosewheel oleos are moulded compressed - in other words, in landed mode. Strictly speaking, when on the supplied stand, they ought to be somewhat longer, but short of providing a second set of legs, you can't have it both ways. The legs would benefit from paintbrush detailing to show bare metal where relevant. 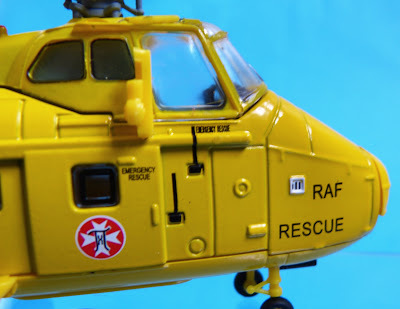 As the two pix of the real XJ729 show, the machine was far from dirty in service, but in the model world, some light weathering would do some good, plus perhaps some oil stains to give it a more realistic appearance. Like others in this series, the Westland Whirlwind is solidly constructed, though the starboard winch and tail skid are obvious weak spots. To 1:72 scale, the model measures some 190mm (7.5 in) long, with a rotor diameter of 224mm (8.8in). 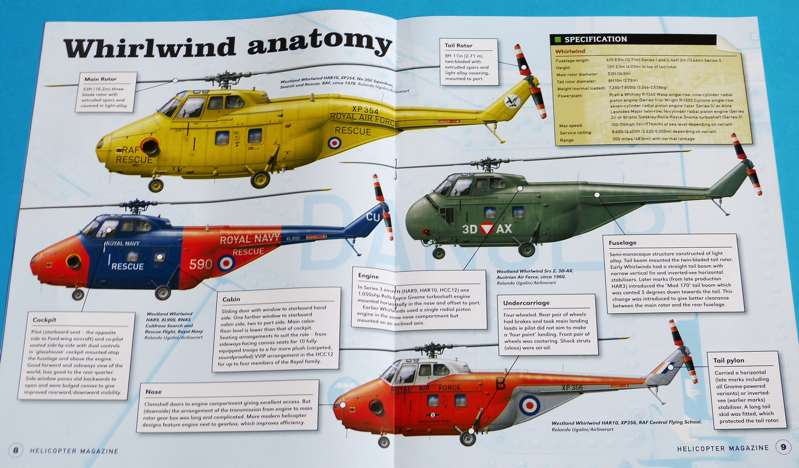 The print component of the production is written and produced by the well known UK aviation publisher Key Publishing, and the excellent side-views in the centre-spread look good, even if they are not of the specific XJ729 helicopter that comes in the bubble pack. The mag has small metal loops on the spine to allow it to fit neatly into a series binder: a nice touch. We’ll give this a 7.2, but like others in the series, if you give it some TLC, you could turn it into a respectable item, if not a show-winner. But even if you don’t put in any work, it’ll still pass muster as an attractive desktop display piece. These helicopters are obviously popular, as such products usually last only a few weeks in retail outlets, before going to subscription-only. But here we are at issue number 10 - we’ve spotted others, including a Sea King, Chinook, Apache, S-58 and Lynx - and they are still appearing every fortnight at retail outlets. 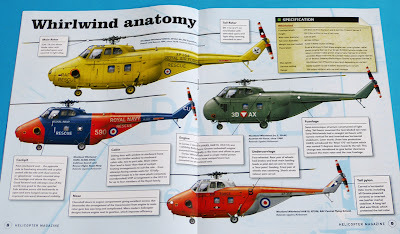 And that’s good news for helo-lovers as there are plenty more to come in the series, including Huey, Hind, Havoc and Merlin. 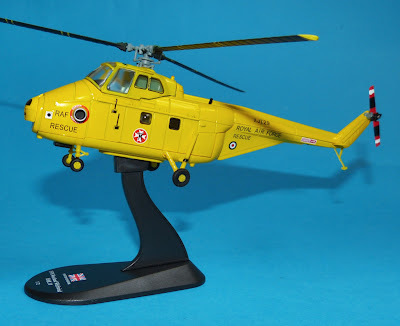 * Incidentally, the model represents what proved to be the last airworthy Whirlwind. 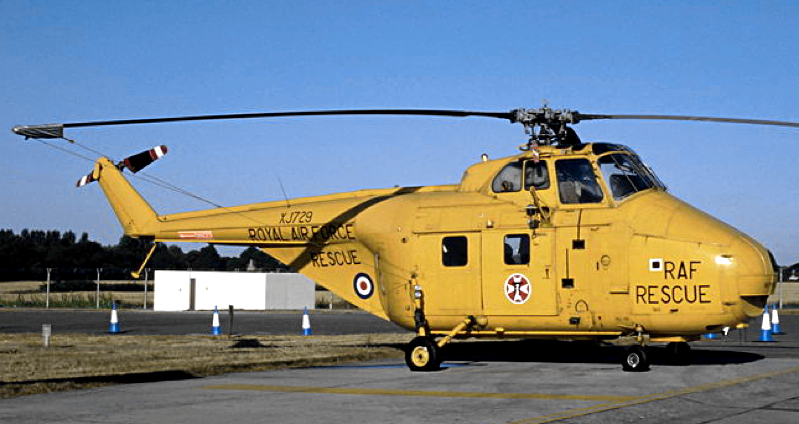 Retired from RAF service in 1981, it flew on in re-registered civil markings until 2008. 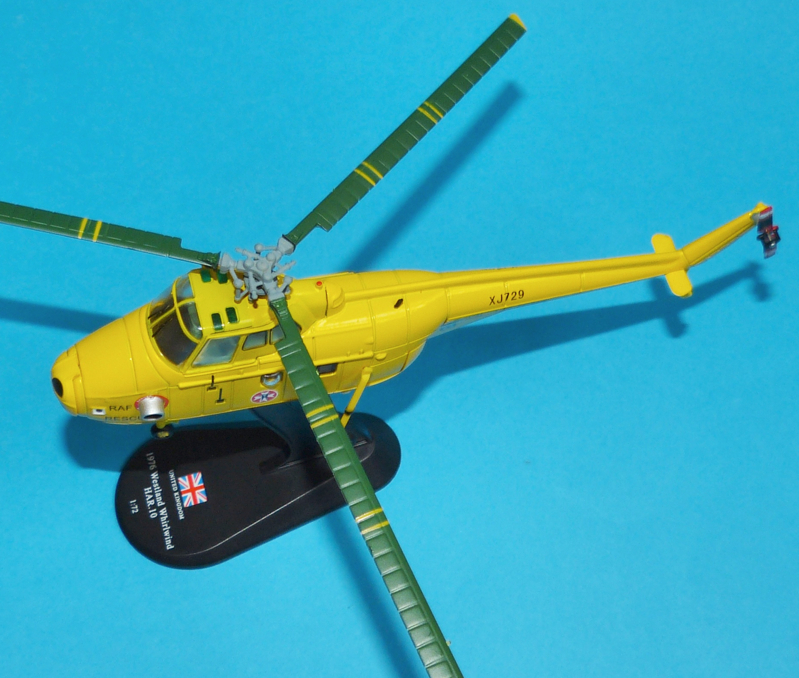 HELICOPTER is available through retail outlets or online direct. 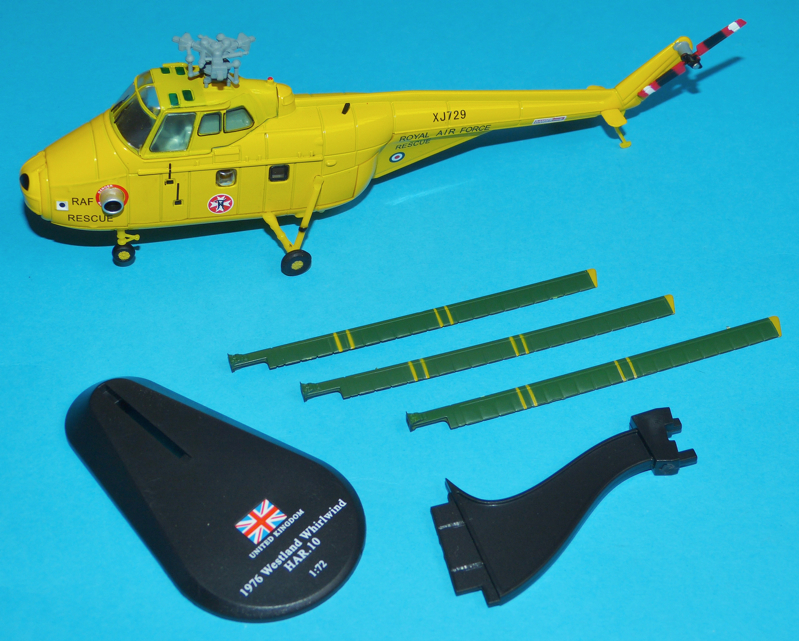 Amermedia’s Czech site gives you a good look at other ranges.